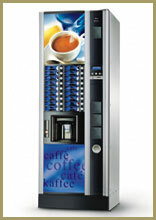 The N & W Astro is a fully automatic coffee vending machine. It is available as a bean to cup or freshbrew formats. The Astro features a 600 cup capacity when 7oz or 9oz cups are being used and a 300 cup capacity when the largest 12oz cups are used and it also offers the consumer the option of using their own mug. 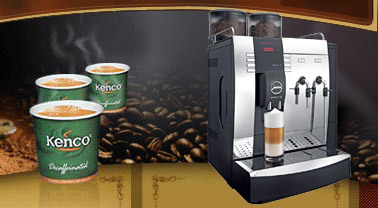 A full range of speciality coffees are available with the touch of a button through the Astro including cappuccino, latte, mocha and espresso as well as chocolate (made from either Suchard or Cadbury powder), tea, soup and decaffeinated coffee. The self-cleaning cycle helps to keep the daily maintenance requirements of the Astro to a minimum although it must be stressed that this function is not a replacement for cleaning the machine. A range of payment options are available including coin mechanisms, note readers and cashless systems or the Astro may be set up as free vend machine. As with all of our floor standing coffee vending machines the Astro must be plumbed in to the mains water supply and as such we highly recommend that you fit a good quality water filter in order to reduce the detrimental impact of lime-scale on your machine. This also has the benefit of giving you a much better quality of drink. 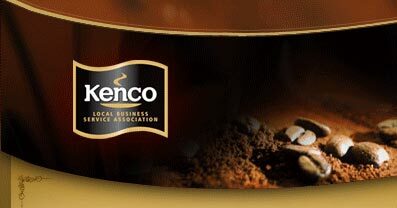 Kenco Local Business Service supplies the Astro coffee vending system across London and throughout Buckinghamshire, Berkshire and Hertfordshire. We can supply everything that you require from delivery, installation, training to full on-going service support as well as quick and efficient delivery of all the products used in the machine. Our warehouse close to Hemel Hempstead is an ideal location to offer a first class service in towns such as High Wycombe, Aylesbury, Slough, Reading and Maidenhead.